One of the biggest pieces of news from the day was Riley’s update about the new 3-4 defensive scheme. Since hiring Bob Diaco as defensive coordinator, fans and the media did its best to guess how the Huskers would line up come spring football. Riley answered that question, providing an early look at the defensive depth chart for spring. Riley brought his personal depth chart along to the press conference too, showing excitement for what’s ahead. Calling it a “new start,” Riley expects some growing pains but feels the defense will handle it just fine. Speaking of personnel, Mick Stoltenberg said he has put on somewhere between 15 and 20 pounds since the end of the season. He currently weighs 310 pounds and hopes to put on more to fit the nose tackle position. Another area that will gain a significant amount of interest during the spring is the competition at quarterback. Riley put Tanner Lee and Patrick O’Brien as the top guys for the starting spot, with Tristan Gebbia and Andrew Bunch backing them up. 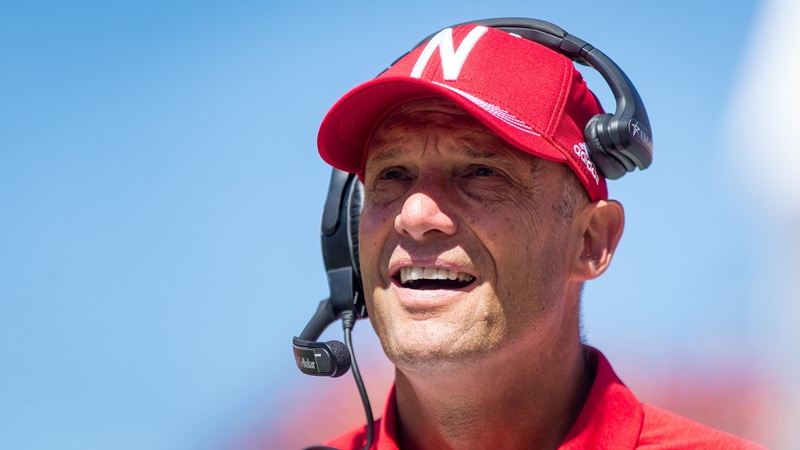 He expects spring to provide a good look at all of the quarterbacks as the Huskers sort through who will ultimately start come fall. “We can do this," Riley said. "We can make sure we get good competition and growth and chance to both to compete and learn with Tanner and Patrick." As for when Riley plans to make that final decision, it’ll be later rather than sooner. Regardless, both the quarterback position and the new 3-4 defense are guaranteed to be the biggest topics between now and next fall. Until then, it’s all about making the transition. >> Les Miles will headline the 2017 Nebraska Football Coaches Clinic on March 31 and April 1. The official announcement came Wednesday morning. >> A quick injury update: Riley said Colin Miller hurt his toe, which has him worried. Miller is now questionable for spring and was originally slotted to play inside linebacker. Linebacker Tyrin Ferguson had a scope and will be limited this spring, while tight end Connor Ketter and defensive back Eli Sullivan are also out with injuries. >> Drew Brown is currently Nebraska’s only kicker on the roster for spring, with Omaha Burke’s Cole Frahm set to join him this fall. In the meantime, current Huskers will likely step in to help Brown on the kicking front. >> With quite a few on the roster hoping for playing time at the running back position, Devine Ozigbo likes what he sees. “We’re going to be vying for time so I predict a pretty good battle,” Ozigbo said. Beyond that, he confirmed what Riley had said about the running game finding an identity before next fall. It’s something the running backs have been thinking about and will continue to work toward during the spring. >> When asked who the team leaders are so far, wide receiver De'Mornay Pierson-El had a quick (and noncommittal) answer. "We're all leaders, aren't we?"